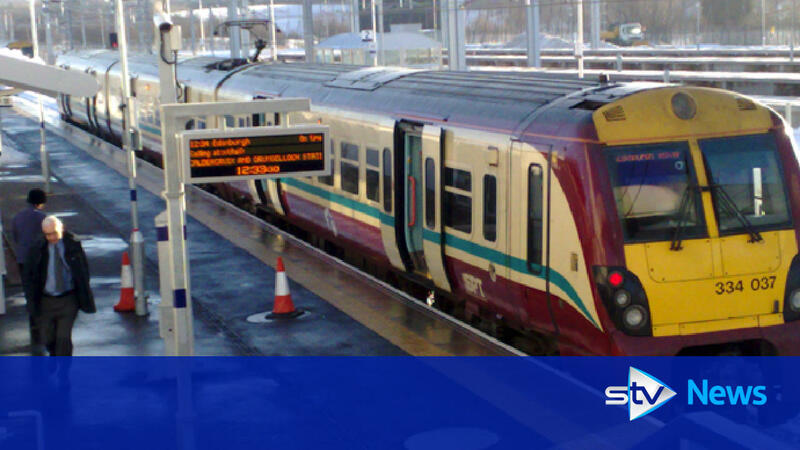 A £300m rail link has opened that re-establishes passenger services between North Lanarkshire and West Lothian for the first time in 54 years. A £300m rail link opens, re-establishing services between Airdrie and Bathgate which was closed more than 50 years. First passengers take advantage of new £300m rail link. A chilly Blackridge on the morning of 12 December 2010, the first day of passenger services from the new station. Platform scene at Bathgate on 12 December 2010 with Karen Whitefield MSP and Mary Mulligan MSP awaiting departure of the first train. The electronic departure board at Bathgate on 12 December 2010, first day of through services on the reinstated route via Airdrie.